The Anderson School is one of five citywide gifted programs. 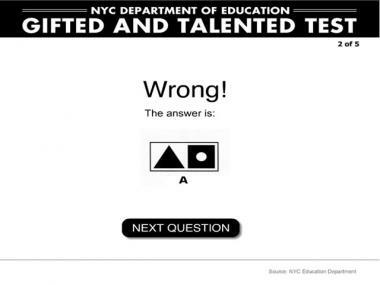 MANHATTAN — Nearly 50 percent more preschoolers earned a top score on the gifted and talented test this year compared to last year, setting up a stiff competition for the elite kindergarten seats, according to new numbers released Friday. A total of 1,603 preschoolers scored in the 99th percentile on the gifted test this year, up from 1,089 last year, the Department of Education said. 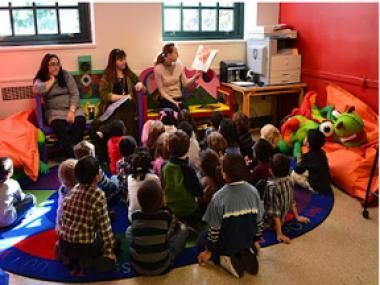 Those 1,603 preschoolers, along with about 1,000 others who scored slightly lower, are now vying for just 300 kindergarten spots this fall in the five highly selective citywide gifted programs. "It's going to be a mess," said Michael McCurdy, co-founder of TestingMom.com, a test preparation website, predicting that many children will not get into their first-choice gifted program this year. One reason for the sharp increase in the number of high-scoring kids is that parents are putting more time and money into preparing their children for the hour-long gifted test, McCurdy said. "Either our kids are much smarter or they're being prepared much better," McCurdy said. "Parents are willing to spend the money…because the stakes have gotten so high." District 2, which stretches from TriBeCa to the Upper East Side, topped the list of high-scoring kids, with 345 preschoolers testing in the 99th percentile, the DOE said. The Upper West Side's District 3 followed behind with 204 kids pulling in a top score, and in southwest Brooklyn's District 20, 134 preschoolers scored in the 99th percentile. Robin Aronow, a school admissions consultant, said the increase in high scorers is one reason the city is changing the gifted test next year to make it harder. Still, she believes the city ought to open more gifted schools to serve the growing demand. "These are programs that meet a need and it looks like we could use more of them," Aronow said. Gifted and talented applications were due Friday afternoon, and the city will notify accepted families the week of May 21.